The MESSENGER probe has spent over ten years in the inner Solar System, making 15 trips around our Sun, and traversing a total of 7.9 billion kilometres. Its goal was to study Mercury, the little planet nestled uncomfortably close to the Sun. Before this mission, we barely had a decent picture of this largely unexplored planet. Now, you can go on a virtual tour of its surface thanks to the MESSENGER. According to NASA, this space exploration mission was an “unprecedented success,” but now it is drawing to an entirely expected close. The spacecraft is running out of propellant, and tomorrow it is expected to do a controlled crash into the planet it’s been so painstakingly charting. The researchers will have contact with the probe up to its very last moments, as few as ten minutes before the collision. 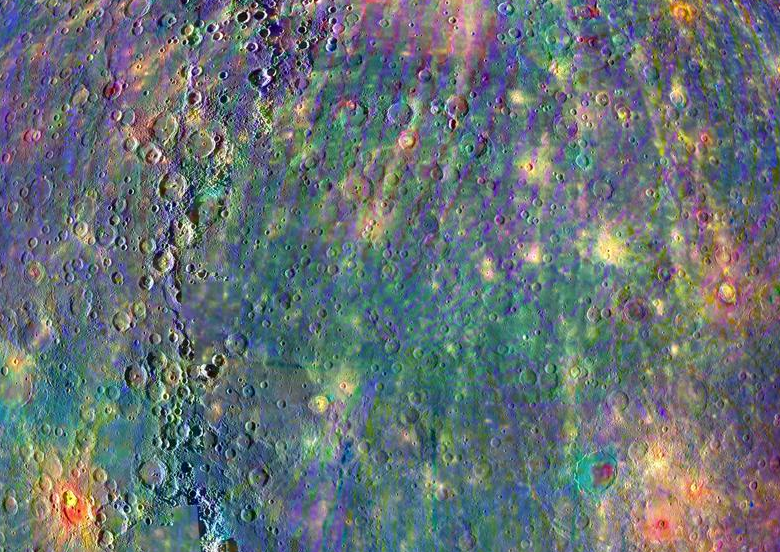 To celebrate the end of the mission, here is a trippy image of Mercury. The Mercury Atmosphere and Surface Composition Spectrometer (MASCS) instrument aboard NASA’s MESSENGER spacecraft was designed to study both the exosphere and surface of the planet Mercury. 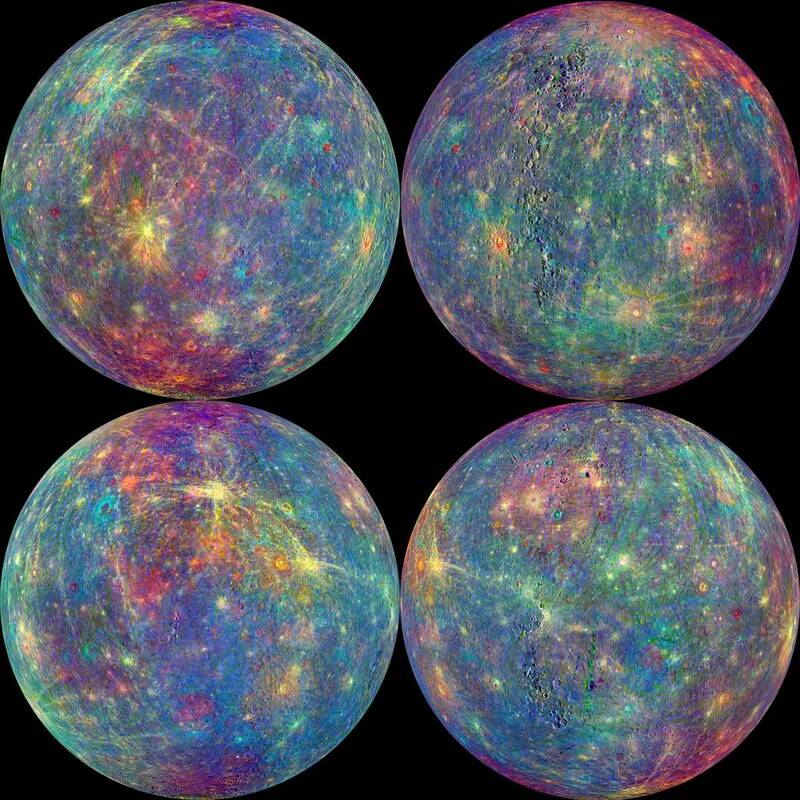 To learn more about the minerals and surface processes on Mercury, the Visual and Infrared Spectrometer (VIRS) portion of MASCS has been diligently collecting single tracks of spectral surface measurements since MESSENGER entered Mercury orbit on March 17, 2011. The track coverage is now extensive enough that the spectral properties of both broad terrains and small, distinct features such as pyroclastic vents and fresh craters can be studied. To accentuate the geological context of the spectral measurements, the MASCS data have been overlain on the monochrome mosiac from the Mercury Dual Imaging System (MDIS), an instrument with wide- and narrow-angle cameras to map the rugged landforms and spectral variations on Mercury’s surface. Have a happy crash and burn, MESSENGER. You did well.